Minimum waxing, mainly tweezing. The objective is to keep the brow line as masculine as possible, fine tuning stray hairs. remove unwanted hair in minutes, leaving the interior (nostrils) hair free for up to four weeks. Along the earlobes and inside canal. Hair is removed from alongside the briefline. Hair is removed alongside the brief line as well as atop the brief line. The most popular option in men's bikini waxing; hair is removed from the shaft, scrotum & perineum. Hair is removed from the following areas: perineum, inguinal (inner fold of leg), shaft and scrotum. Hair is removed from the following areas: entire pelvic area, perineum, inguinal, shaft, scrotum & gluteal cleft. The groove in-between the buttocks. Hair directly below the derriere, extending to the base of the gonads, is completely removed. Hair is removed from the genital pouch. Hair along the pelvic region, below the navel is all removed. This wax tightens up the hairline. Hair is removed right below the elbow, along the forearm, down to the wrist. Hair from top and bottom are removed; beginning right below the shoulder, extending down to the wrist. Hair that lies on the upper arm between the shoulder and the elbow, on the rear of the arm, is removed. The hair on the shoulders and below the neckline is removed. Eliminate the need to shave underarms and streamline your morning ritual. Hair around the pectoral muscle is removed at the root, which will delay the reappearance as it grows back without stubble. A wonderful way to show off your abdomen. Hair is removed from your entire abdominal region and is left touchably soft. 1. Hair is removed only to mid-back. 2. Hair that is less than the amount of a full back wax, or "pockets" of hair, not covering the entire back. (This is up to the determination of the esthetician; if it is not applicable, you will be charged for a full). Entire back is rid of unwanted hair; beginning from the shoulders, continuing below the small of the back. Region located above the brief line, where the spine curves in at the waist. Clients with sensitive skin have an alternative option that will protect them from irritation or rashes. This option is formulated for acneic or blemish-prone skin. *Recommended if you tend to have sensitive or reactive skin. * - Denotes, price is adjustable depending on the amount of hair. Hair is removed from above or below the knee, extending down to the ankle or above to the upper thigh. Hair is removed from the upper thigh area, down to the ankle. *All twofers are cash only and must be mentioned by client in order to receive reduced pricing. Price based on areas waxed. Service is considered full body when 5 or more areas are waxed, but must include full legs and/or full arms. Can be customized. *Full body services are eligible for a 5% price reduction. *Adjustment will be calculated upon checkout. 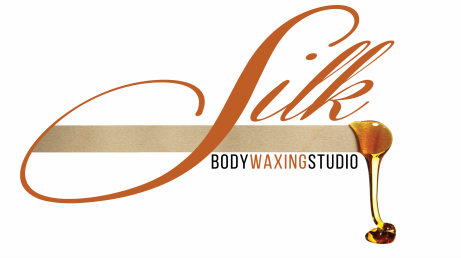 ​Each area can be expertly trimmed with precision for a sculpted and uniformed look for a fraction of the waxing cost. We'll leave it looking so natural, only you will know. Any service can be substituted for a trim or a shave, instead of waxing. To inquire about shaving/trimming prices, please call 215-687-6698. *Trimming and shaving services are 10% less than listed waxing pricing. *Full body trimming, not available. **Emergency appointments can be made outside of regularly scheduled business hours. Emergency appointments are considered an accommodation, therefor subject to an increased, rate of price and a half.